This is one of the best Moonphase 9 Tube Triple Chime Grandfather Clocks that you can buy. 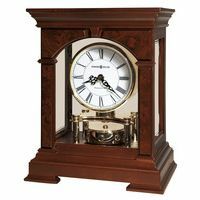 It is made by the world famous Herschede chime clock company, known for their quality clocks for over three generations. This one is model No. 276 with the 9 tube movement playing your choice of Westminster, Canterbury or Whittington Chimes. 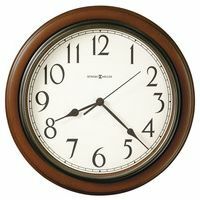 This is one of the best quality sounding clocks that we seen (buying and selling) in a long time. The case is made of Mahogany with Satinwood trimming on the top and bottom. The clock on whole is in great shape running and chiming the quarter hours away. You can silence the chimes and hour striking individually if you wish. 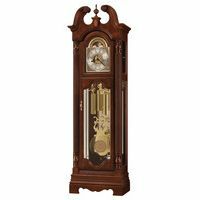 This grandfather clock is 78 inches tall and 21 inches wide.